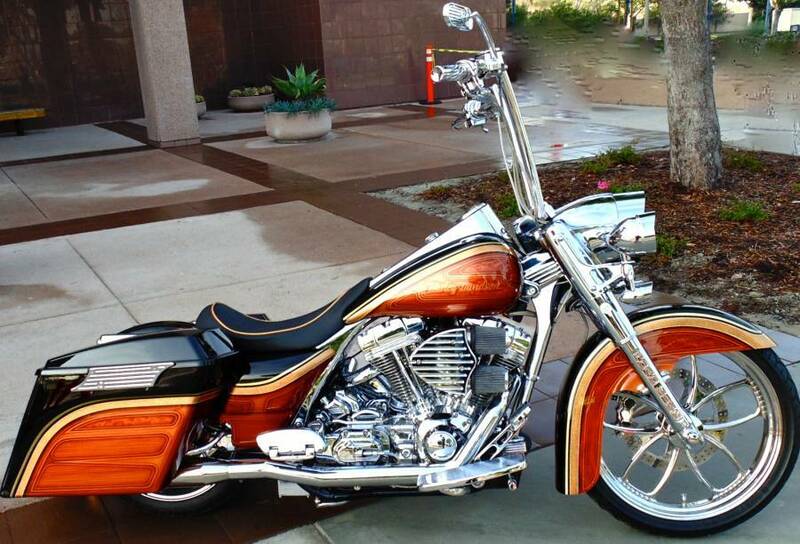 “2012 Easy Riders Show Winner” Best in Class, Anaheim, California. 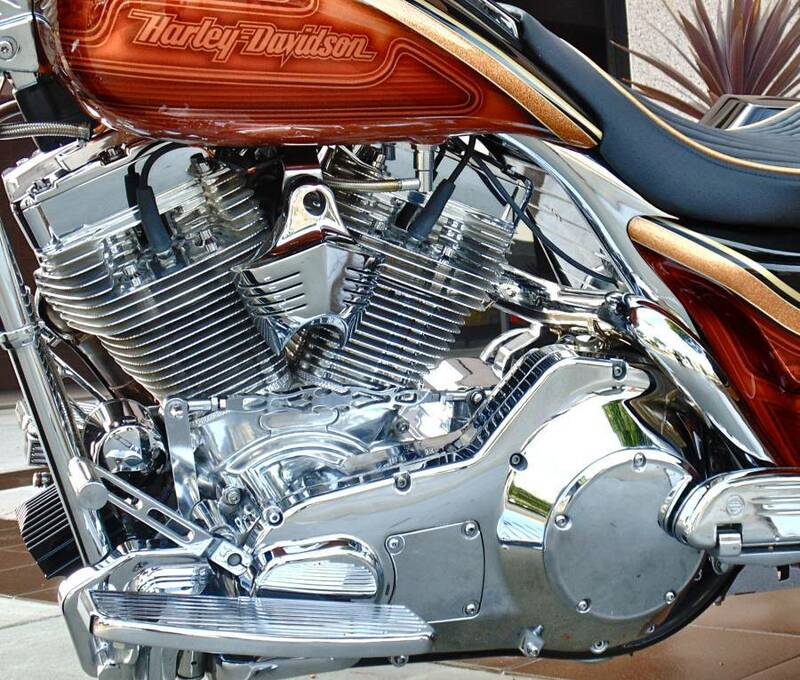 Diamond Cut High Polished Heads. 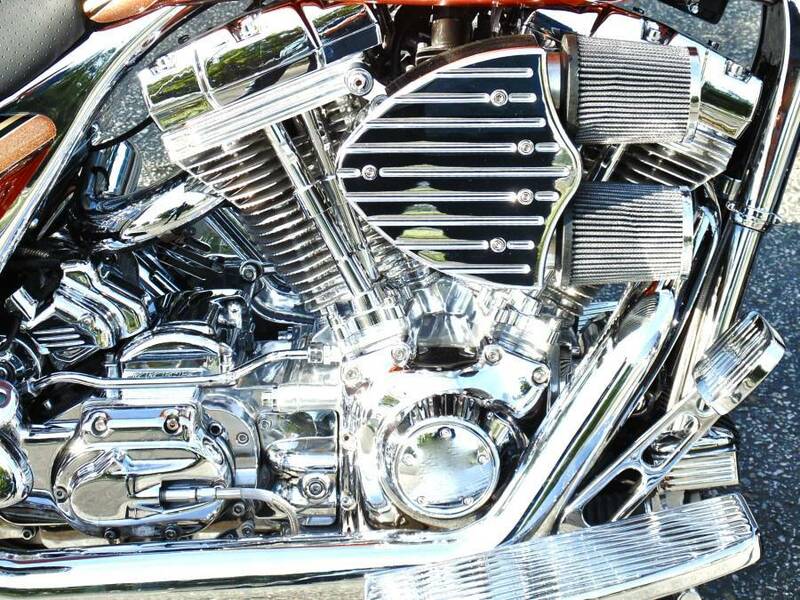 Engine is Completely Chromed Out. 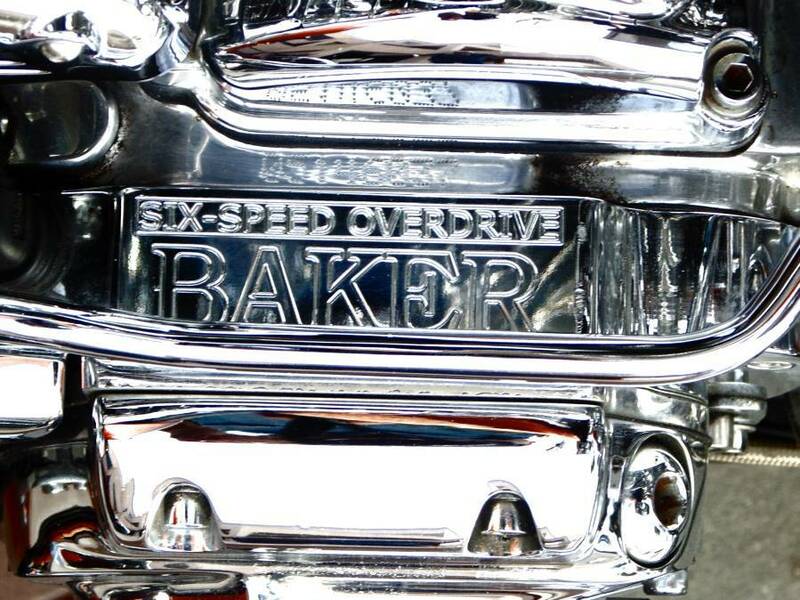 6-Speed Baker Overdrive Transmission – Chromed. 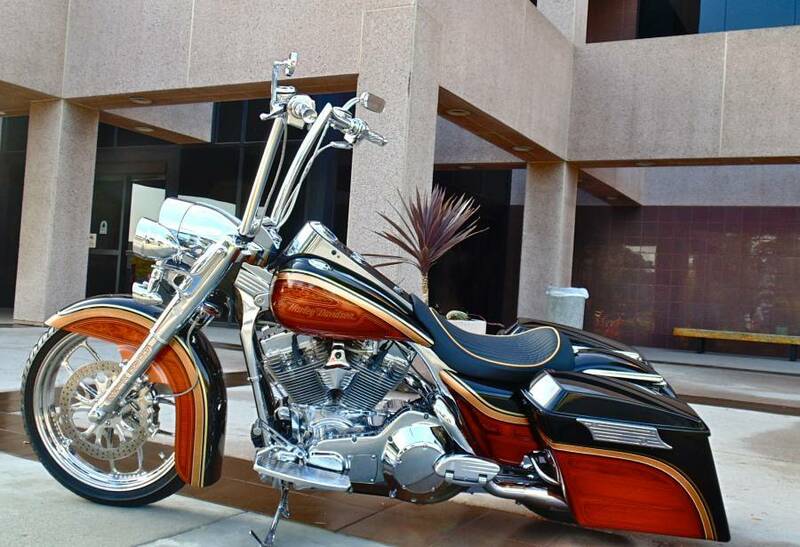 $10,000 Paint Job – Base Coat Candy Root Beer, House of Color Black, Candy Gama Gold Lace Patterns, Gold Flake Stripe. 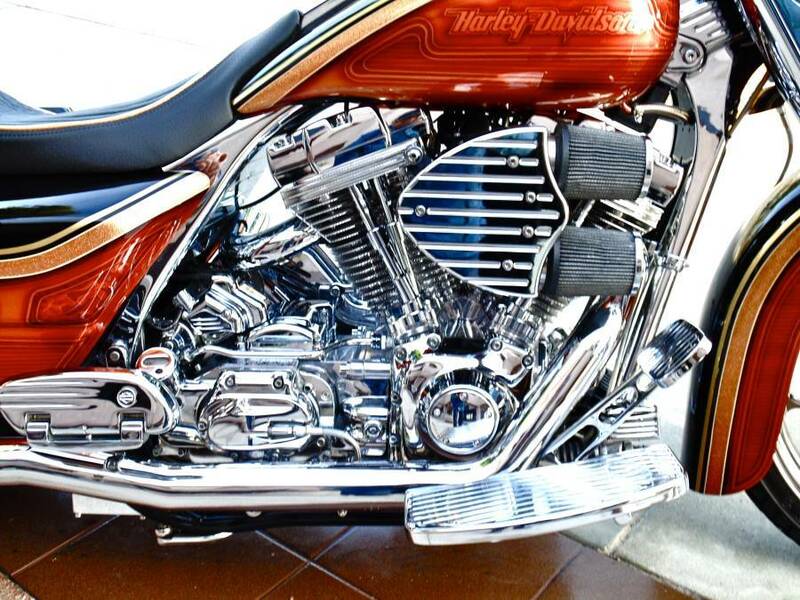 18″ Buky Bars – Triple Show Chrome. 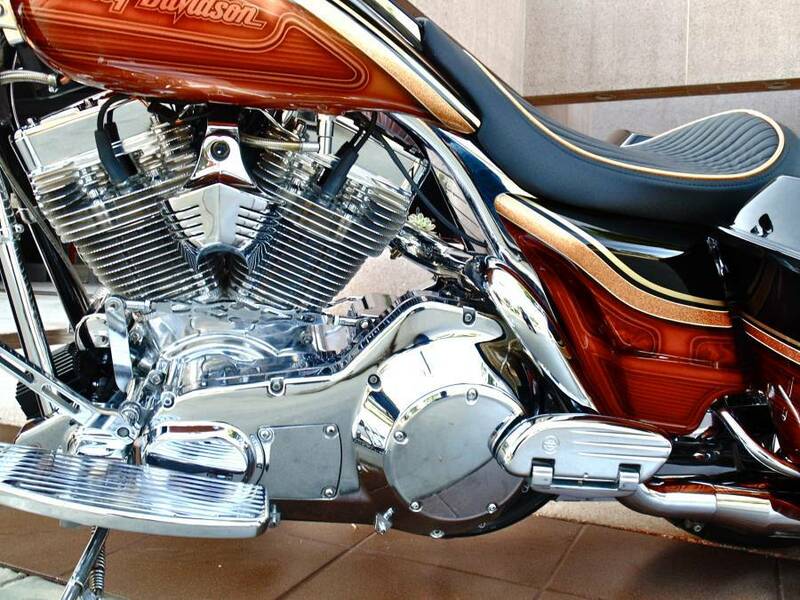 Completely Chromed Out and Engraved Front End. Head Winds Nacelle and Front End Light Assembly. 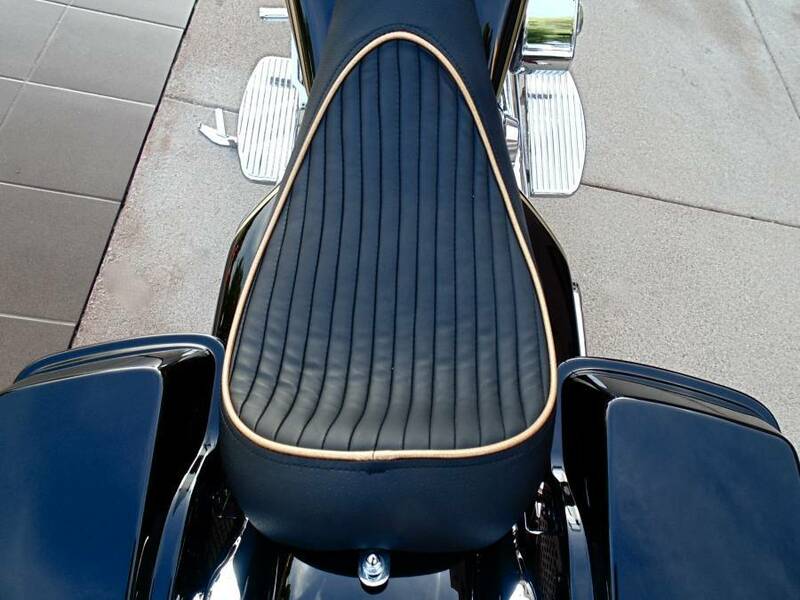 Danny Gray Custom Made Seat – Perforated Tuck and Roll Leather. 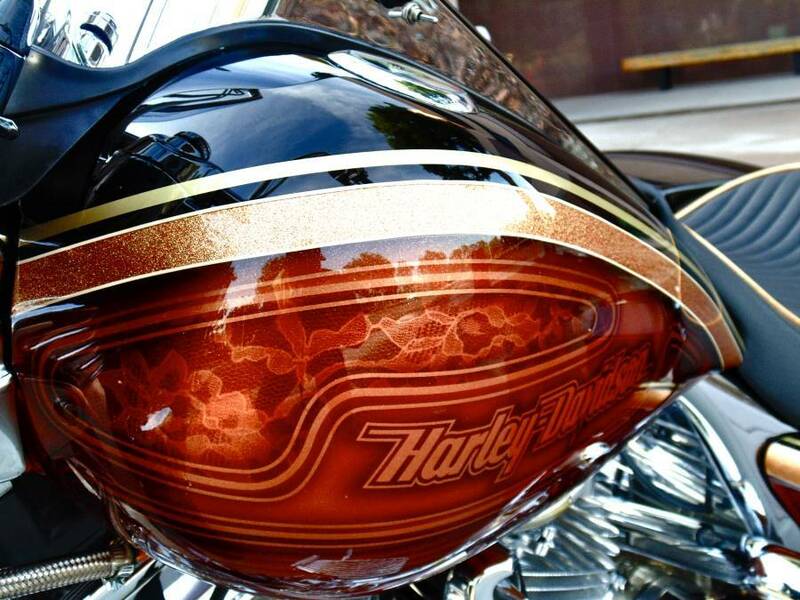 Arlen Ness Billet Dashboard Insert. 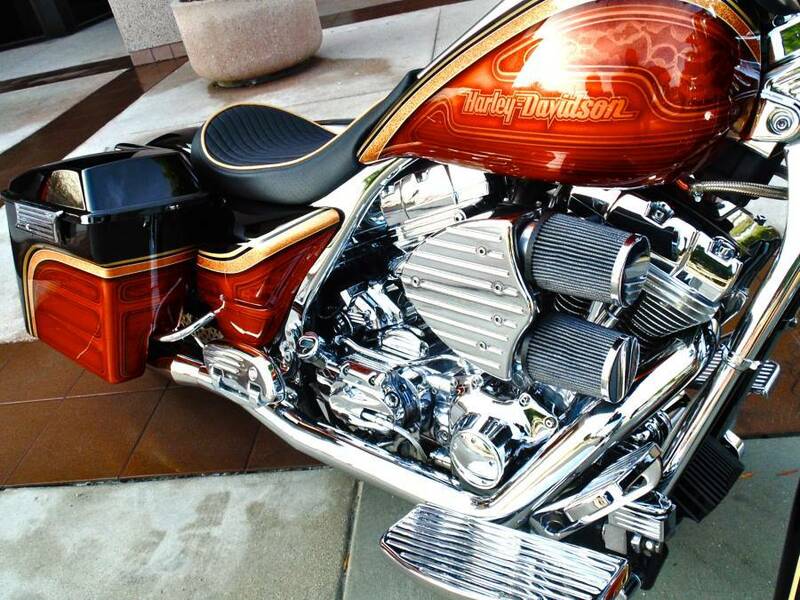 Arlen Ness Billet Hand Controls. 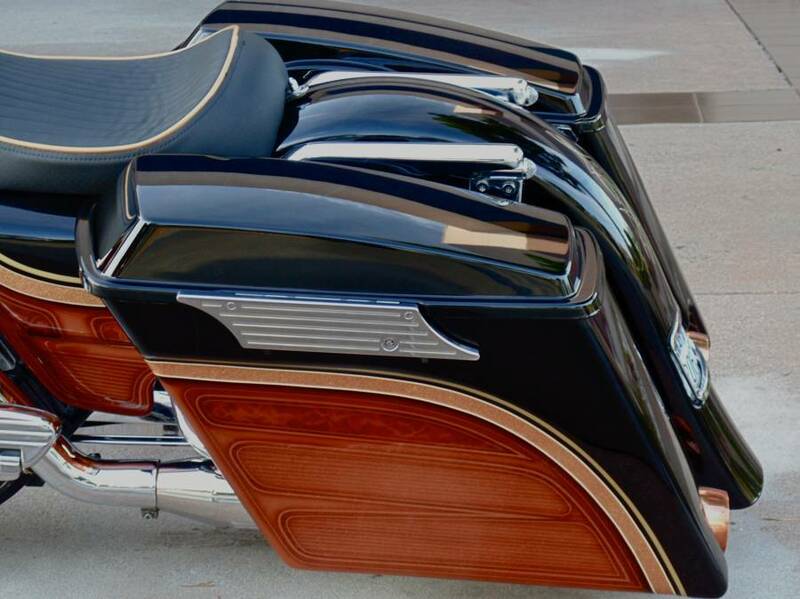 Arlen Ness Stretched 5-Gallon Fuel Tank. 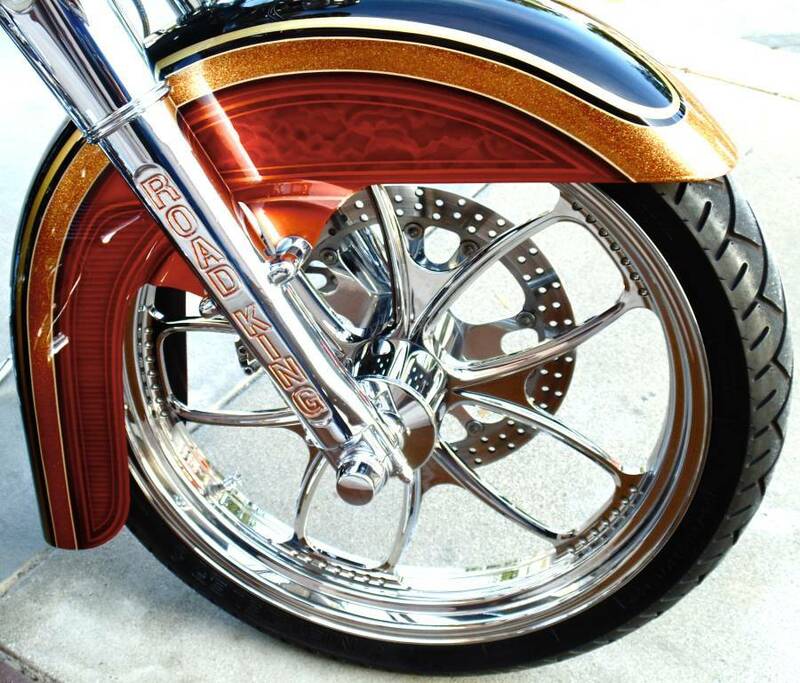 4″ Stretched Klock Werks Front Fender. 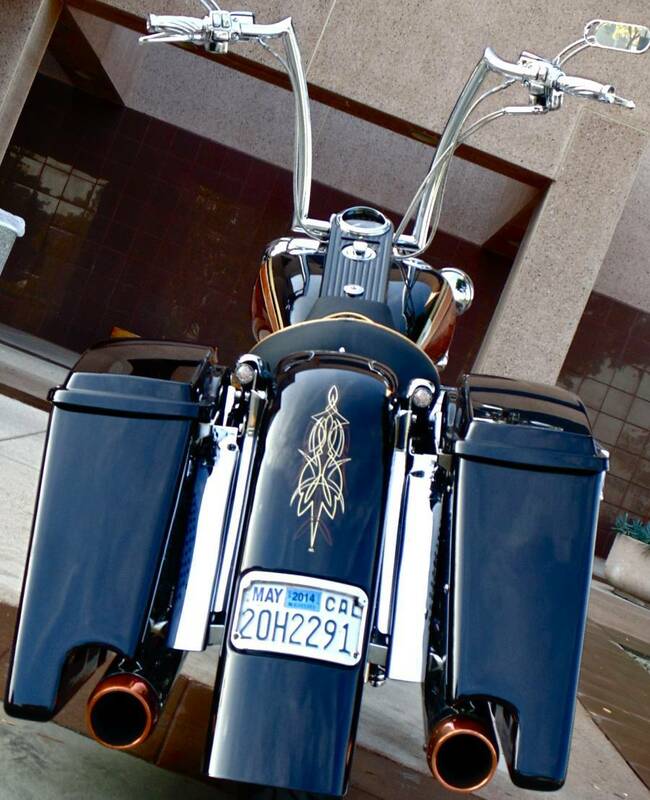 6″ Stretched Klock Werks Rear Fender w License Plate Frame. 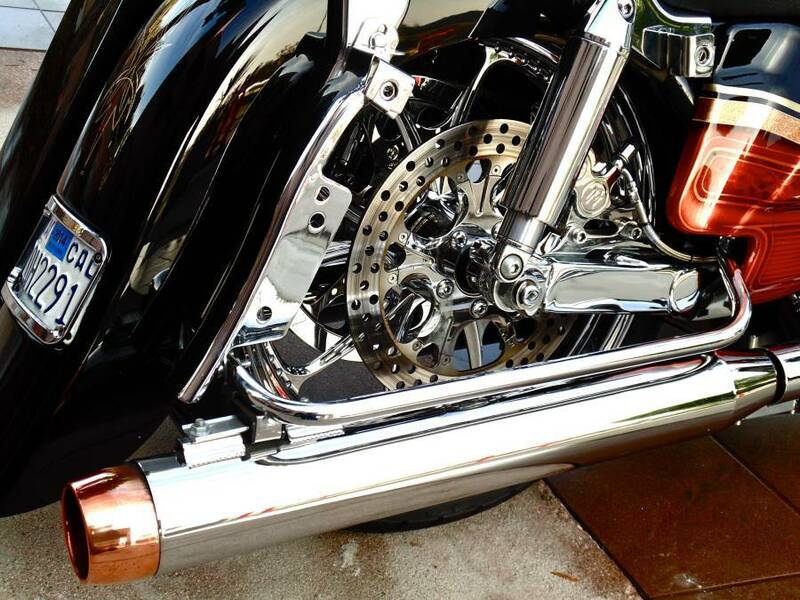 Klock Werks Chrome Rear Saddle Bag Inserts. 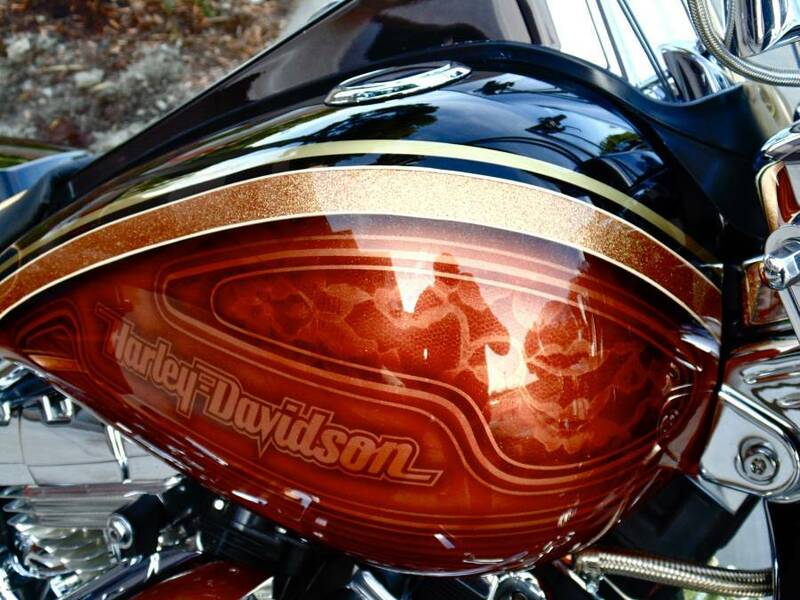 Arlen Ness – All in One Custom Tail Lights. 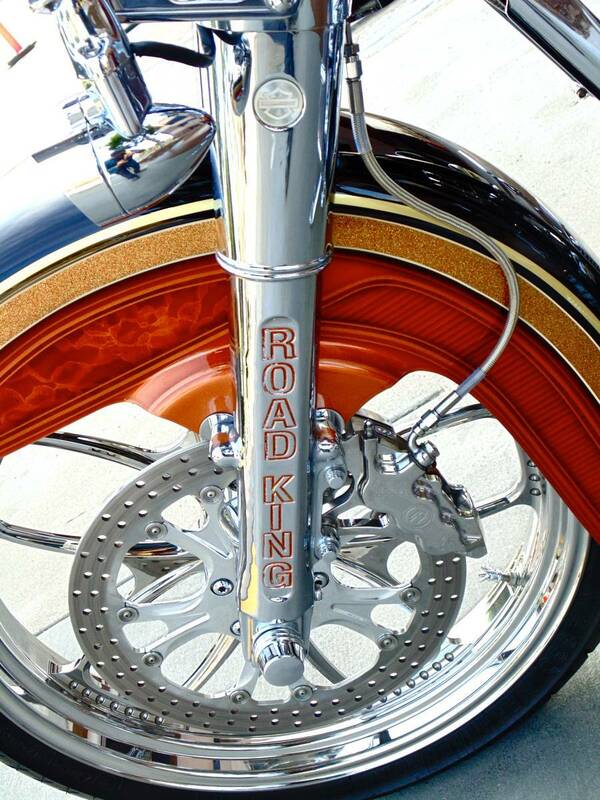 Front Wheel – 21″ x 3.5″ PM Gatlin Billet Chrome (Single Disc). 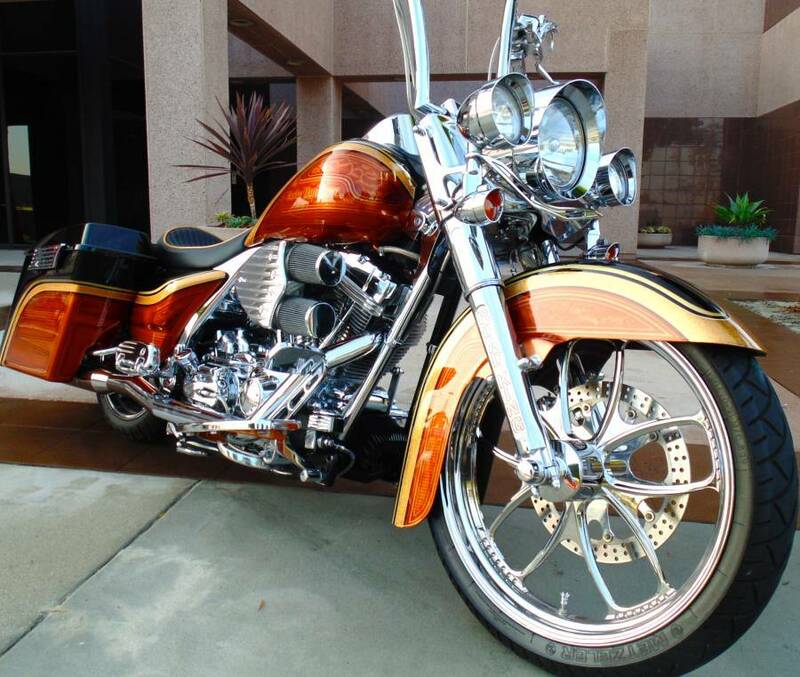 Rear Wheel – 18″ x 4″ PM Gatlin Billet Chrome. Performance Machine (PM) Gatlin Billet Chrome Pulley. 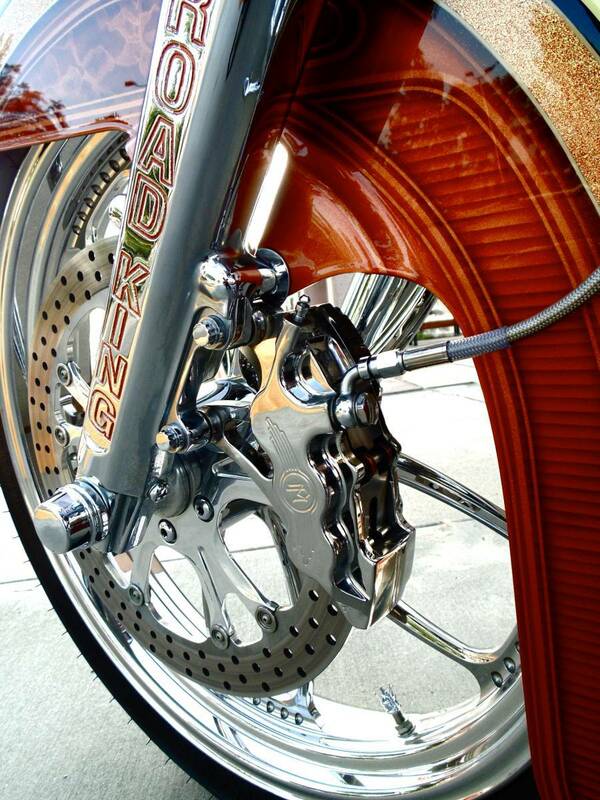 11″ Performance Machine (PM) High Polished Front Rotor. 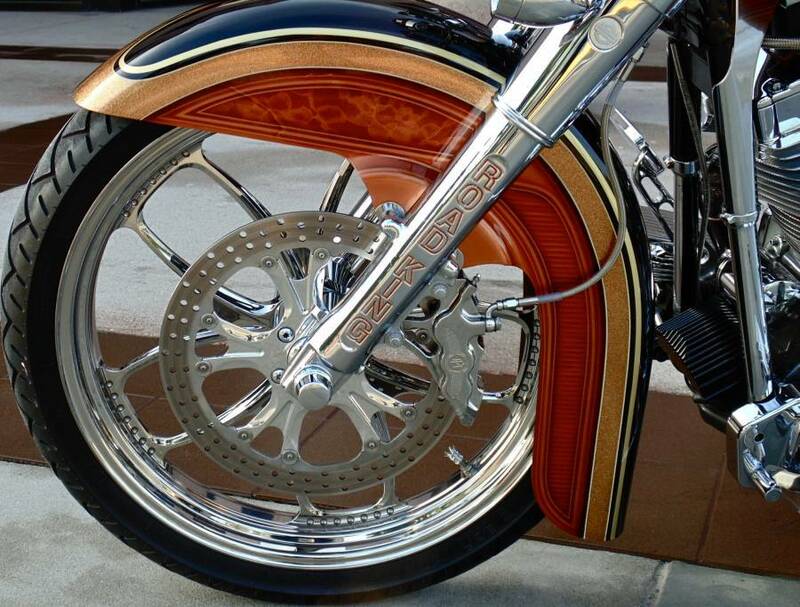 11″ Performance Machine (PM) High Polished Rear Rotor. Performance Machine (PM) High Polished Front Caliper. Performance Machine (PM) High Polished Rear Caliper. 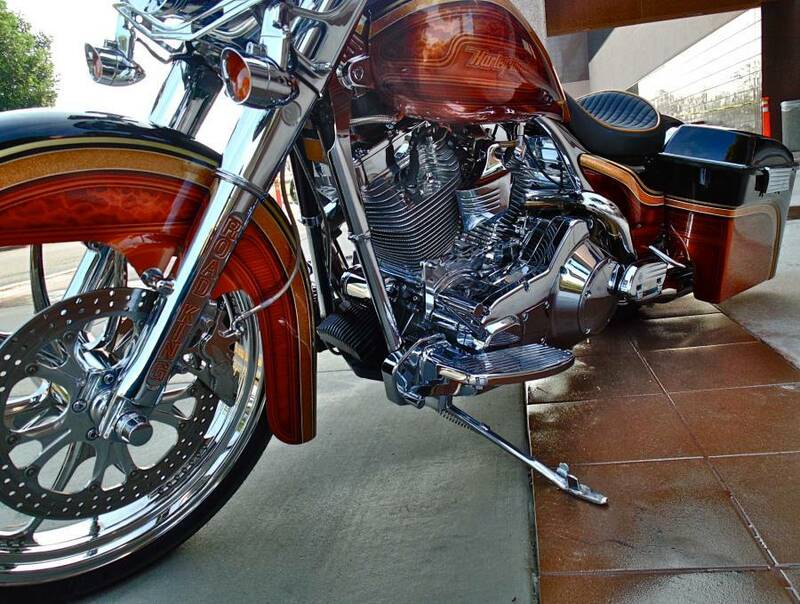 Rear End Completely Chromed Out. Steel Braided Lines and Cables. 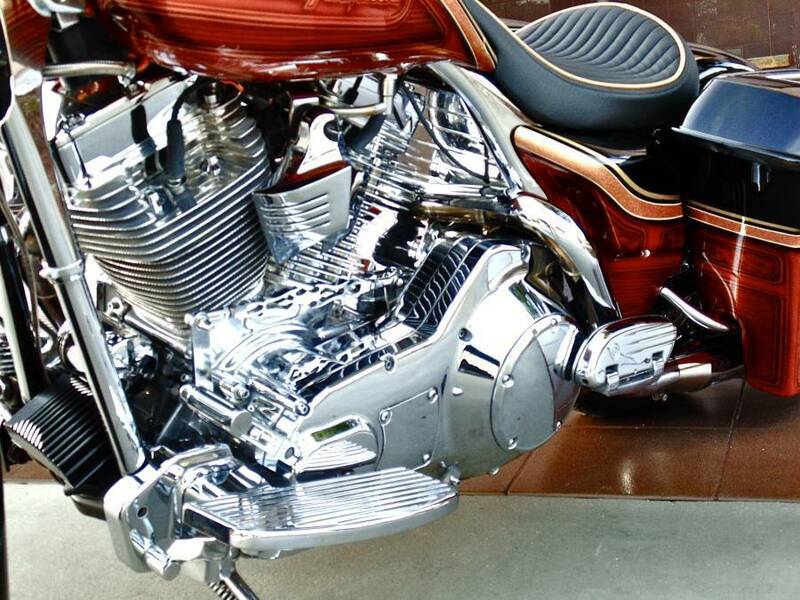 PRO-One Billet Chrome – Floorboards, and Pedals. 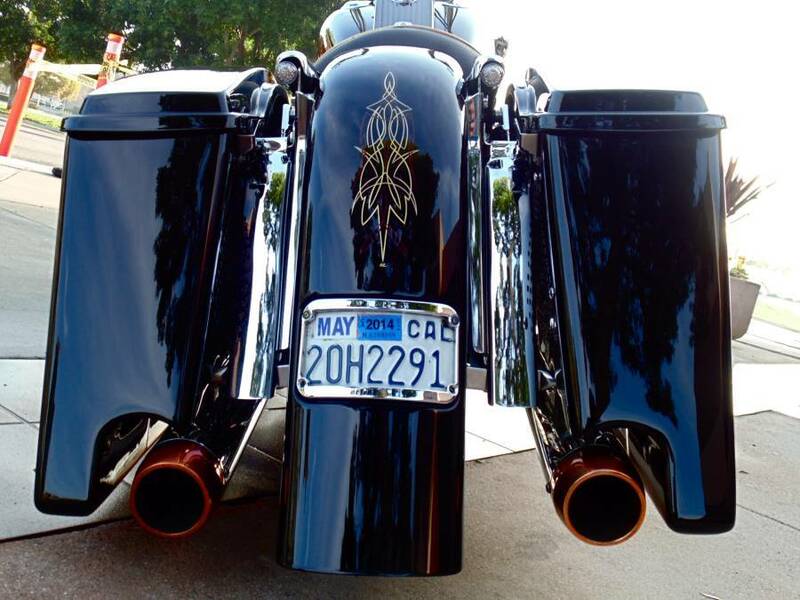 Rinehart True Dual Exhaust – Black Exhaust Tips Were Stripped and Copper Plated. 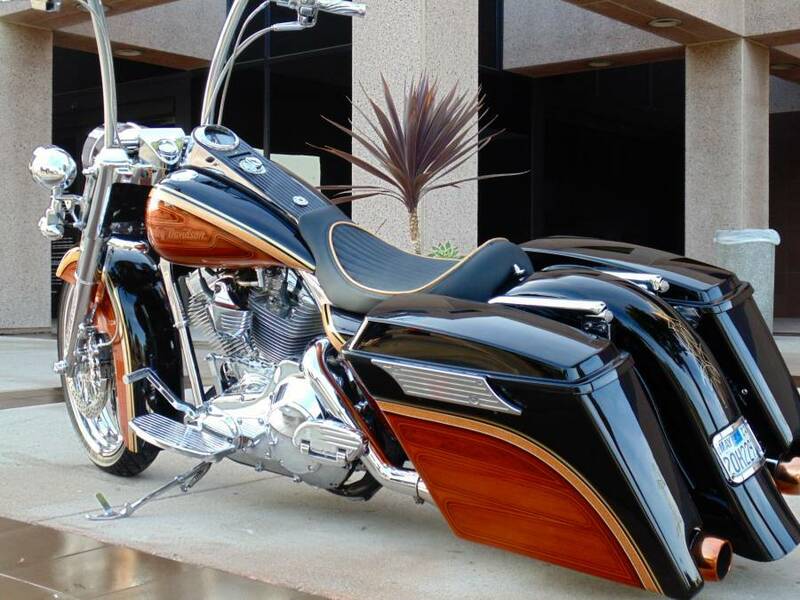 Kicker Sound System – Four 6 x 9’s Located in Saddlebags. 1000 Watt Kicker – 4 Channel Amplifier. Alpine MP3 Output Connection System. 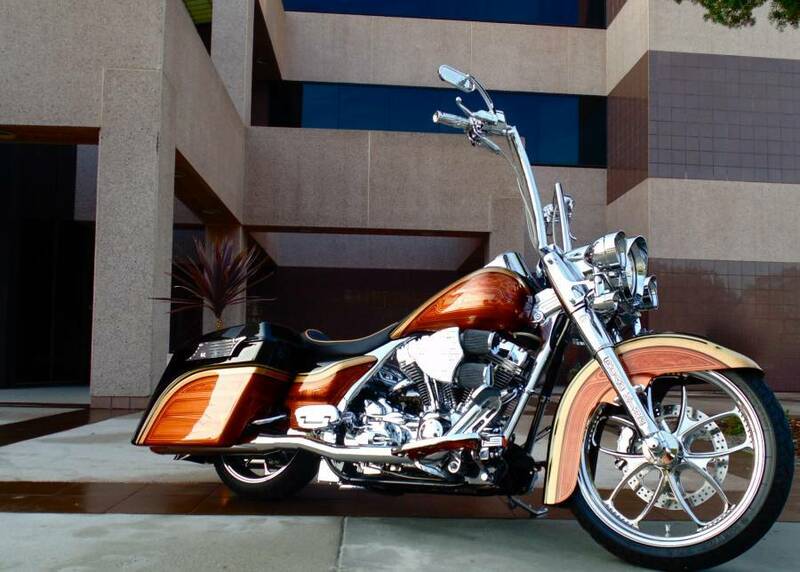 Beantown Baggers is not associated nor responsible for the sale of this motorcycle.